The Bottle Factory chosen to supply the 2012 Olympic Ambassador water bottles! 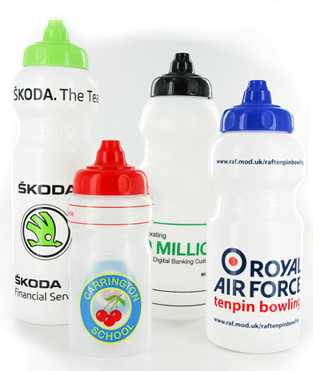 The Bottle Factory chosen to supply 2014 Skoda Tour de France water bottles. 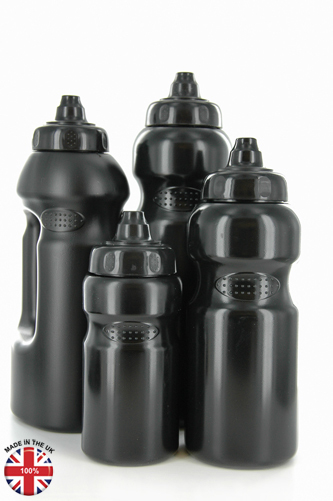 The Bottle Factory chosen to supply Glasgow 2014 Commonwealth Games cycling bottles. New for 2016, Purple Caps! Manufactured at our premises here in the UK, our bottles are made of the highest food grade Polyethlyene and are completely BPA free. 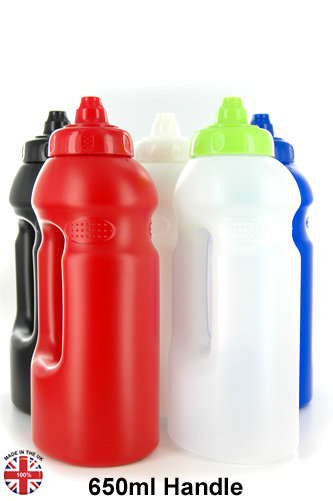 The bottles are available in 4 sizes and 5 colours and are dishwasher safe. Because we manufacture everything here, we can offer the fastest turn around times in the industry. We are able to use 35% of our own recycled material using our closed-loop manfucaturing process. This means there is no possibility of contamination or reduction in quality, thus producing the greenest product we possibly can at the most competitive price. 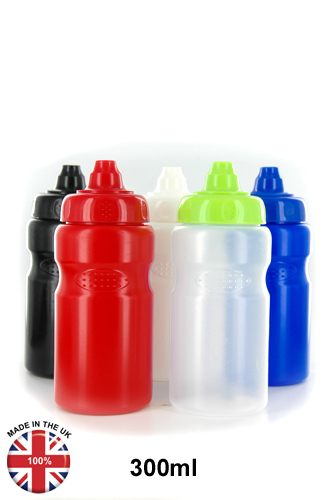 Whether you are a nursery, school, club, gym or corporate, we have a size of bottle that will meet your specific requirement. 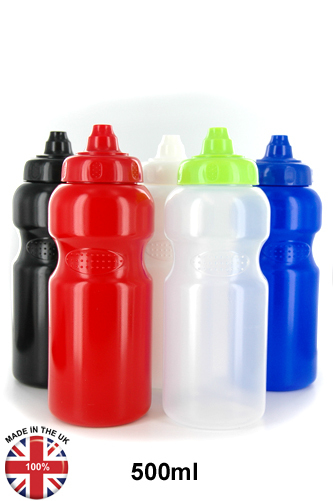 We offer the facility of printing custom designs/logos on your water bottles. 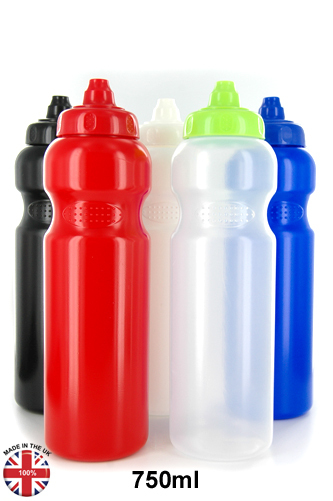 Up to 4 distinct colours can be printed on the bottles using a silk screen printing process. All printing and artwork processing is performed here at our factory. This enables us to be fastest in the industry. Custom branding of your bottles is a very effective form of promotion. We can add your contact details to the bottle design, so that your customers always have a way of getting back to you. We have supplied the UK Olypmics, Tour de France and the Commonweathly Games with branded water bottles. We also supply thousands of schools in the UK. Manufactured in the UK to our design exclusively for us, our caps have one-way valves that are superior to the industry standard push-pull mechanism. 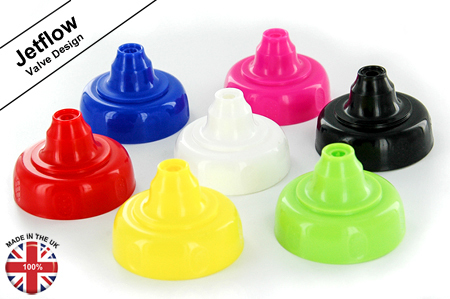 These are particularly popular with schools as they prevent spillages and drips when dropped and their smooth design greatly reduces the temptation for them to be chewed. It also means there is less strain being put on young teeth. A short video on the caps can be found here.